Cost: The six-course Tasting Menu costs £45, or £75 with five glasses of wine. 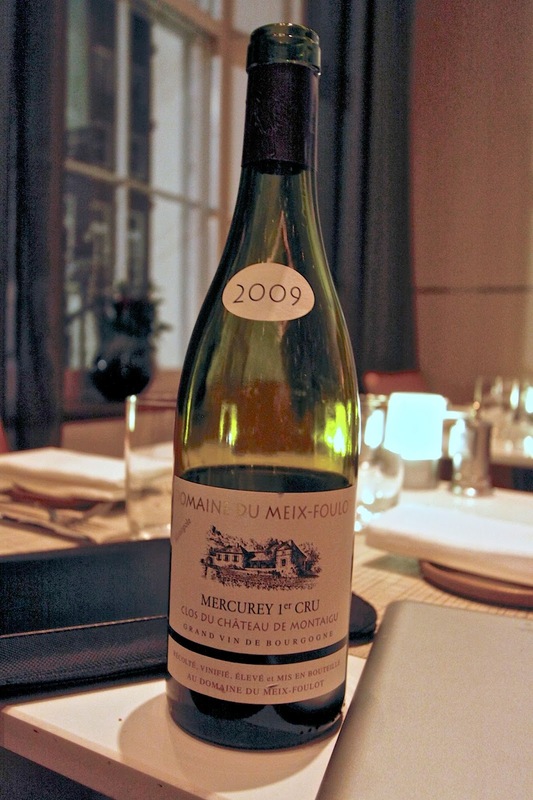 A three-course meal from the à la carte menu would cost about £30 to £45 per person, excluding wine. About: On a cold winter’s evening – beset by wind, rain and a Tube strike – we fairly stumbled into Sixtyone Restaurantand Bar. It felt like a triumph just arriving, as Sixtyone isn’t the easiest restaurant to find: it is set along a quiet, largely residential street just behind the Marble Arch end of Oxford Street. But the trek was well worth it: Sixtyone offered one of the finest meals of the new year, and it was wonderful value to boot. Sixtyone is part of the Searcys fine dining universe, which includes restaurants at Royal Opera House and the much-lauded private dining room at The Gherkin. Sixtyone’s Chef Patron, Arnaud Stevens, has led both of these operations and Killian Lynch, Sixtyone’s Head Chef, was most recently Head Chef at The Gherkin. This pedigree shows proudly at Sixtyone through modern European cooking that is inventive yet precise, with invariably beautiful presentation. What We Ate: Though Sixtyone offers a carefully curated à la carte menu, we chose the six-course tasting menu. 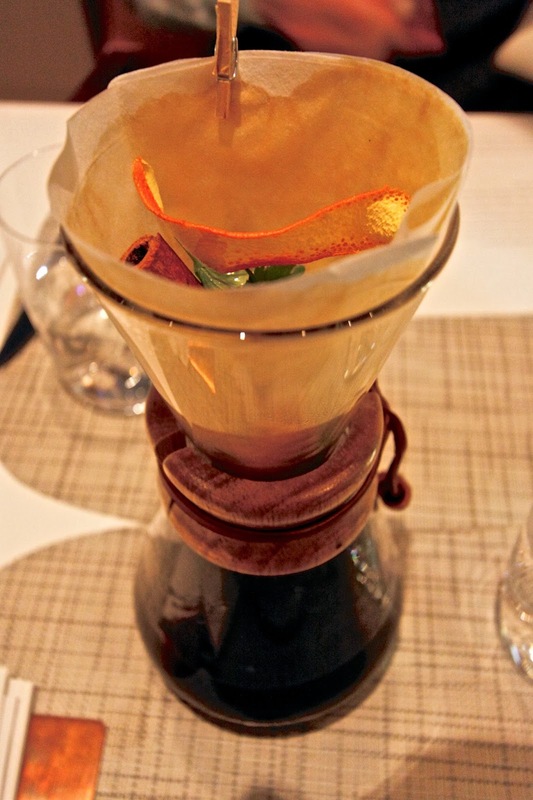 A surprising amuse bouche was home-made dashi decanted through a paper filter filled with herbs, cinnamon sticks, orange peel and star anise, and served in teacups along with a pot of tempura rice noodles and soya mayonnaise. Unlike the whisperingly delicate and almost floral dashi we know of, this was deliciously savoury, and a fine preview for delights to come. A basket of French bread, including some from Boulangerie de Paris a fantastic supplier I use for my own French Supper Clubs, was similarly full of surprises, most particularly a generous wedge of chewy, almost chocolaty Marmite loaf, which might win many a convert from the ‘hate it’ side of the Marmite argument. The minimalist descriptions on Sixtyone’s menu hardly do justice to the joyfully creative work at hand. The dashi and bread, for instance, were followed with something called simply Snacks, conjuring visions of a bowlful of pistachios or a packet of crisps. Happily, the reality was far more subtle: we were presented with what looked like a large, antiquarian book that opened to reveal gorgeously presented pan-fried Dorset oysters and chicken caillettes, the latter being lightly breaded croquettes of chicken, red pepper, chard and almond. Both the oysters and cailletes were appropriately crisp yet succulent. The Octopus carpaccio, red pepper confit and sesame starter was gorgeous to look at, but the octopus was sliced so thinly as to be overwhelmed by the pepper and pine nuts. A rare misjudgement in our opinion. Arguably the highlight of the meal was not on the tasting menu, nor indeed on the à la carte menu. It should be: the Rabbit Bolognese, salsify and almond starter was perfectly judged, the small portion of Bolognese exploding with savoury meatiness. The salsify was cooked and presented to mimic a nest of pasta, yet it was a far lighter companion to the relatively mild rabbit. I’m not sure where the almond came in, but it hardly mattered. This was a fabulous dish that alone was worth the visit. There was another rabbit starter – Rabbit, juniper, prune & Armagnac – which we had as well, being as it was the starter on the actual tasting menu. It was a decent example of this classic dish, though slightly anticlimactic after the undeniable wow of the Bolognese. Fortunately, the two mains recovered the pace. An artful square of roasted cod, served skin-on, was tender and delicate and married well with a rich dashi broth, Alsace bacon lardons and a hint of truffle. The final main was, on paper, the scariest: duck a l’orange, so classic and yet so easy to get wrong in the balance of its signature ingredients. No worries here: a very pink (perhaps too pink for some) duck breast with a rich reduction, cauliflower puree and a crispy filo packet filled with succulent confit duck leg. As with so much else on the menu, this was both beautifully presented and very delicious. We rounded out the meal with lemon meringue pie, but in keeping with Sixtyone’s inventive flair this was far from the wobbly wedge of cloying sweetness one might envision. The lemon was zingy but light, the meringue light yet substantial, and the whole was dished into a half-pipe of flaky pastry and accompanied by blackberry purée and a refreshing lemon sorbet. 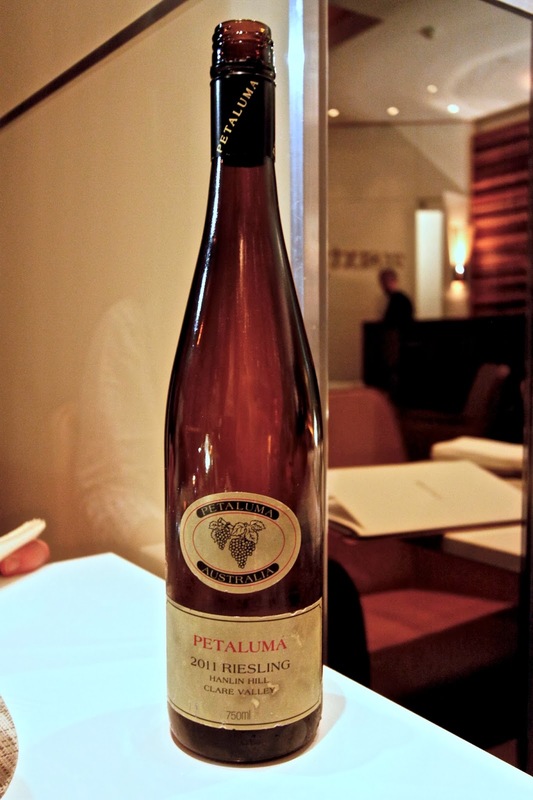 What We Drank: The wine selections for our meal were enjoyable and quirky, beginning with a Petaluma Riesling (2011, Coonawara, Australia; 175ml @ £10.50, 250ml @ £14.75) that served as a light, fresh and not-too-sweet accompaniment to our Snack. 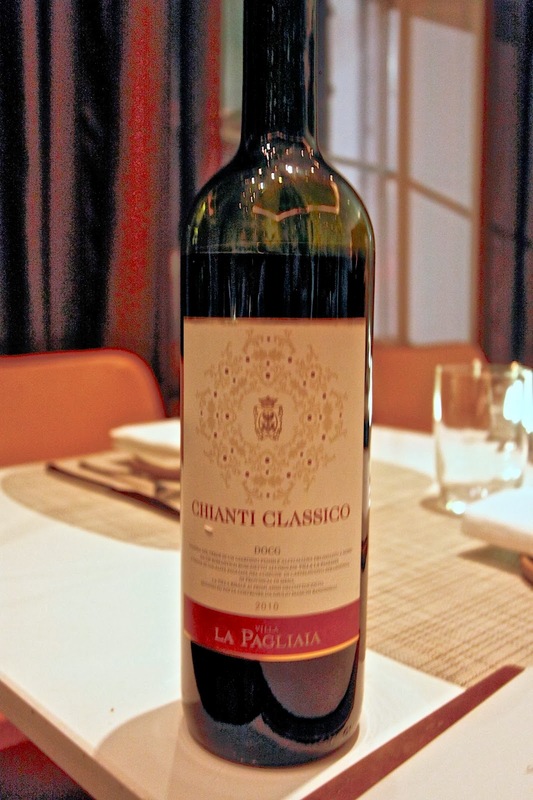 A Chianti Classico from Villa la Pagliaia (2010, Tuscany; 175ml @ £7.25, 250ml @ £10) was a smoky, peppery match for both rabbit dishes. 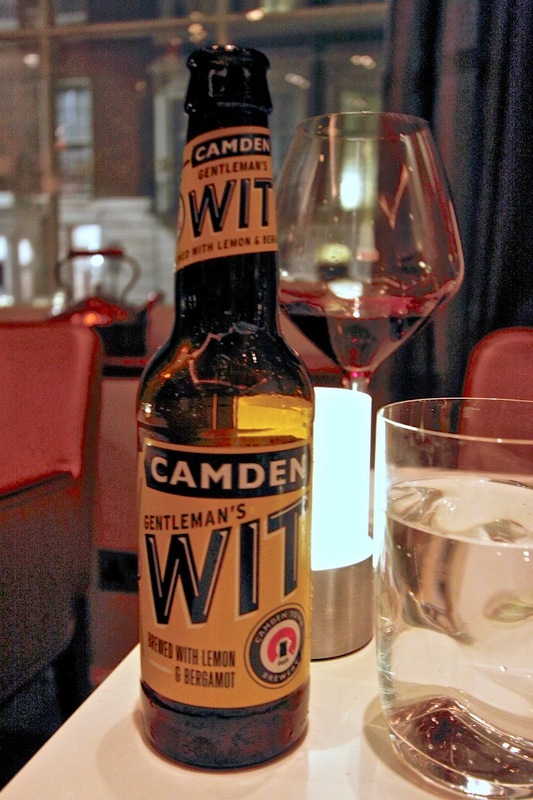 A bottle of Camden Gentleman’s Wit – a Belgian-style wheat beer infused with lemon zest and bergamot – went surprisingly well with the lemon meringue pie. 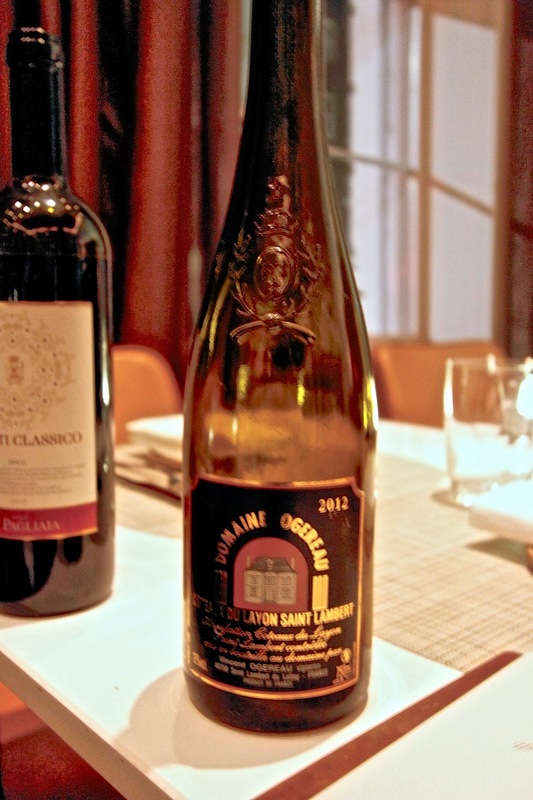 Likes: Inventive, beautifully executed renditions of French classics, a focus on local and regional sources, well-priced menu (particularly the Tasting Menu), warm and knowledgeable service in a relaxed yet elegant atmosphere. Dislikes: the octopus carpaccio was our least favourite dish on the tasting menu. Verdict: Excellent restaurant just off the beating heart of Oxford Street serving elegant food with modern flair. Creative and delicious, very reasonably priced cooking of a very high standard. Very highly recommended.